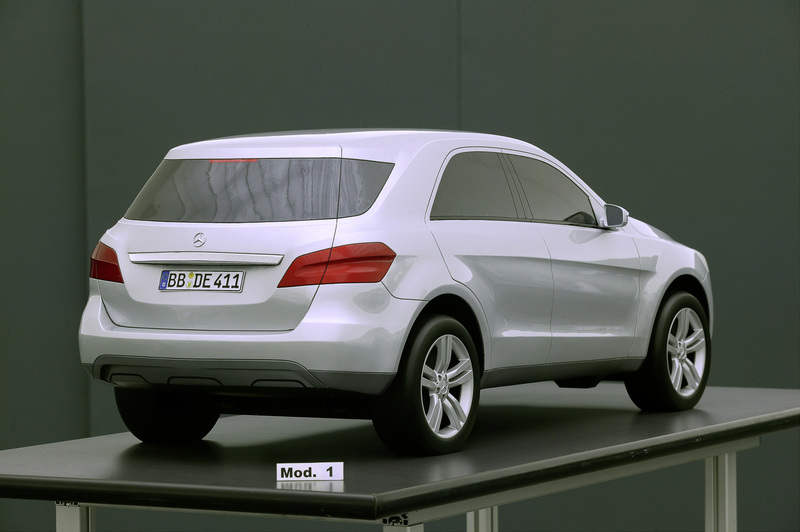 The third generation of the Mercedes-Benz M-Class combines the best of two worlds: the much-coveted SUV not only boasts a strong off-road vehicle heritage, but its passengers also benefit from levels of comfort comparable to those of a premium saloon. 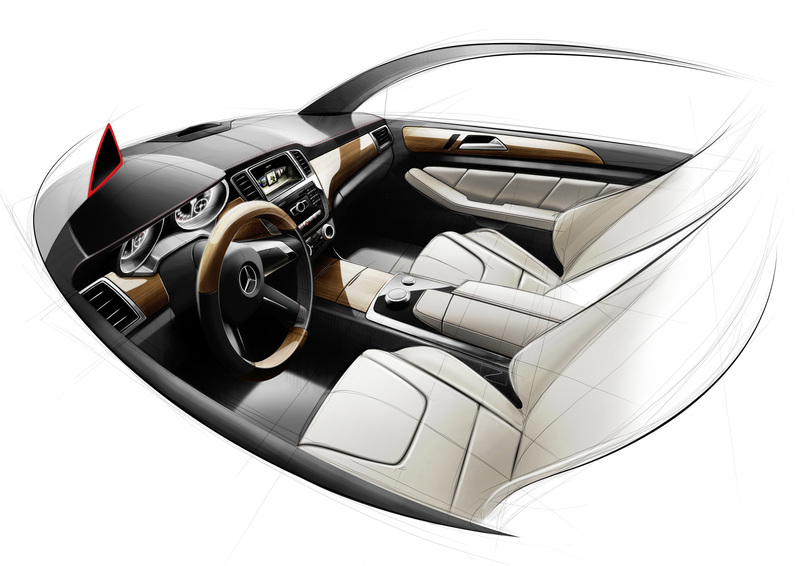 Turned aluminium or high-quality wood, finely detailed switches and highlights as well as exciting surfaces and powerful, harmonious lines help to create a high-quality sense of wellbeing in the interior for both the driver and passengers. 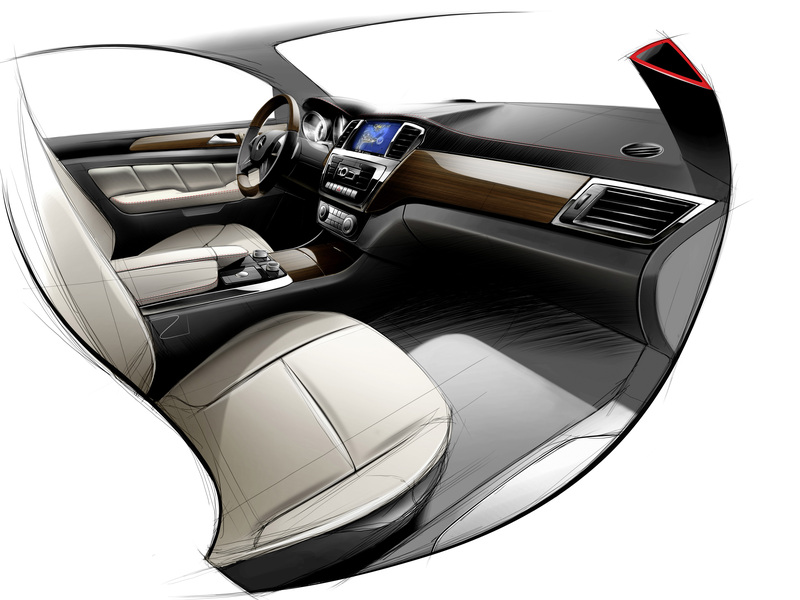 The immediately visible design concept of the interior combines an authentic SUV experience with the sense of wellbeing of a high-quality Mercedes-Benz saloon. While an expressive dome shape embodies the power of an SUV, the gently sloping dashboard in the front passenger area affords an outstanding sense of space, thereby highlighting the vehicle's suitability for long journeys. 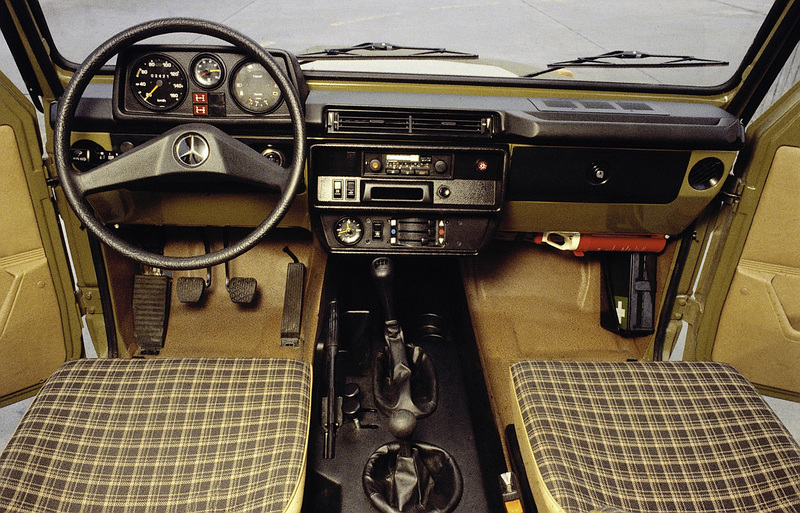 In the G model dating from 1979, square-edged shapes defined the flat dashboard. 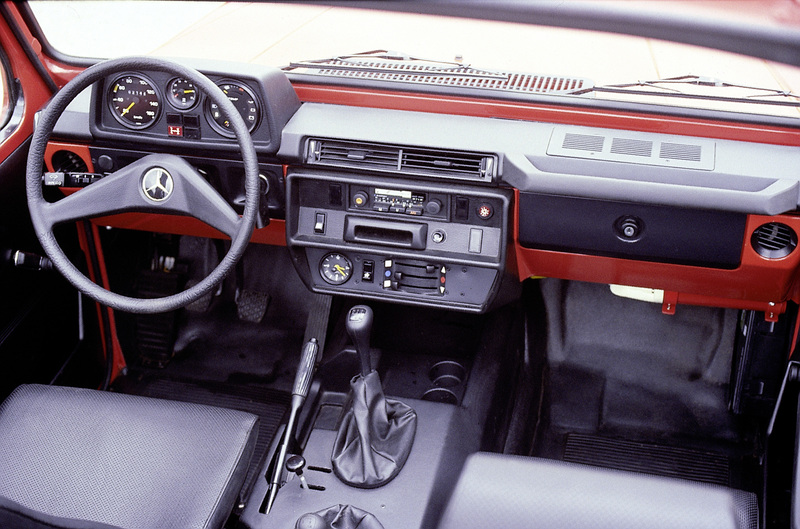 The angular instrument panel was laid on top of this, while the dashboard console, also angular in shape, and the glove compartment area were hung beneath. 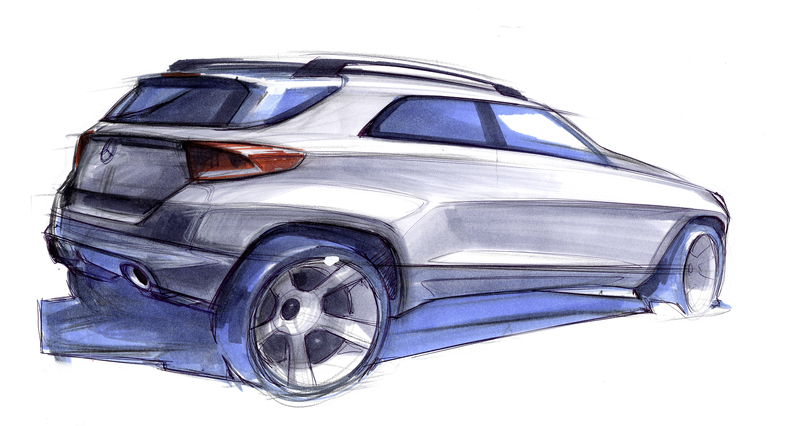 As if pieced together from modular sections, the individual elements reflected the clear look of a commercial vehicle. Their simple practicality dispensed with any embellishments, instead giving off an air of rustic charm with a rather metallic-like effect. At the time, this was totally appropriate for an off‑road vehicle. 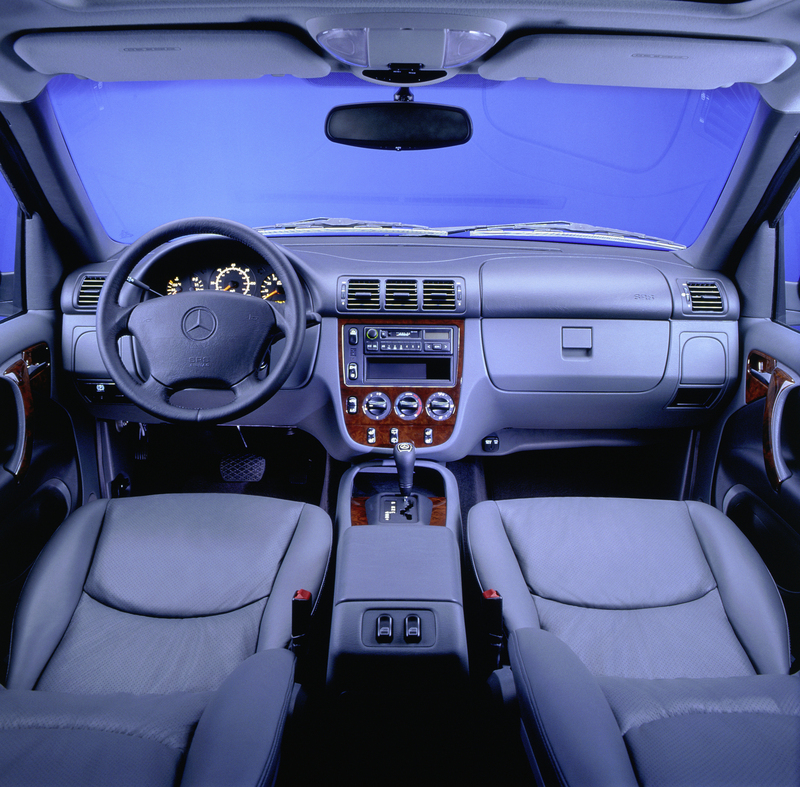 The dashboard in the first generation M-Class dating from 1998 was also primarily functional in nature, and made only tentative concessions to a design based around comfort. Nevertheless, the first hints of the more comfortable and friendlier interior design to be found in saloons were noticeable. Curves and sweeping lines helped to avoid an impression of austerity. 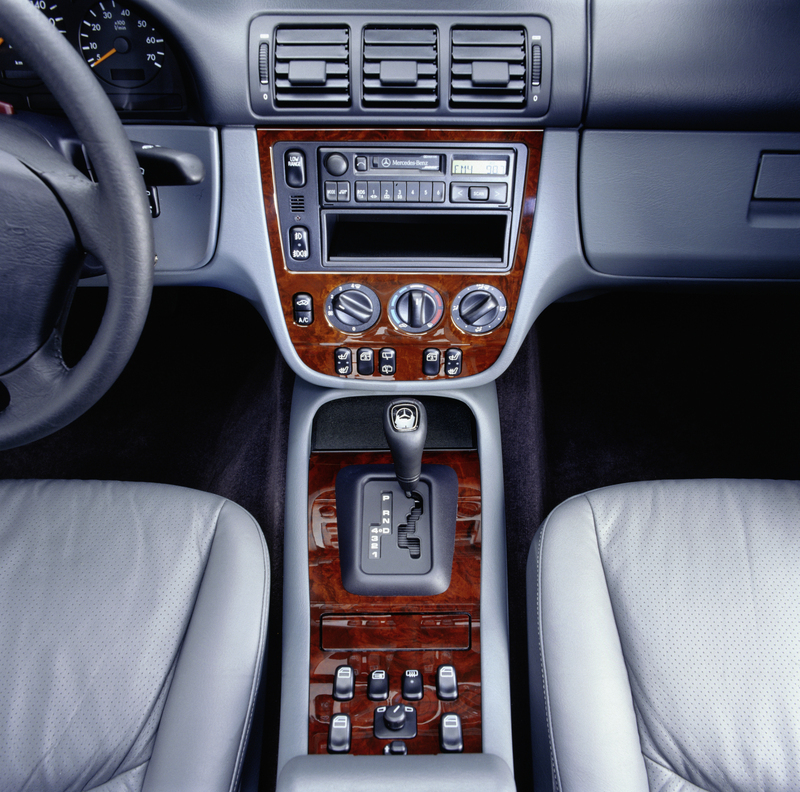 Trim elements were not often incorporated into the sober visual design, however, and functionality continued to dominate. The design of the instrument panel in the new M-Class is completely on a par with its counterparts found in luxury-class saloons: modern, friendly, equipped with high-quality materials and stylishly designed. At the same time, matching details reflect the superior character of a premium SUV. 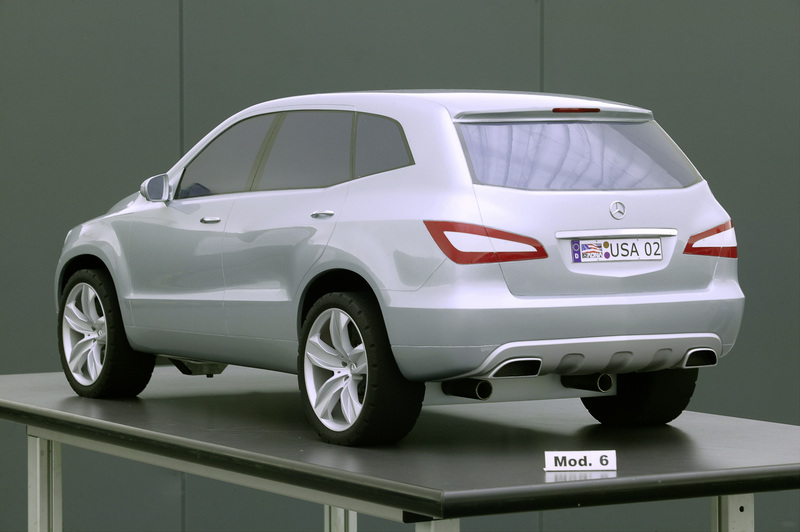 The modern Mercedes-Benz definition of the appropriate interior of an SUV becomes evident as soon as the pleasantly high seating position is accessed via the wide-opening doors. The spacious, bright interior provides noticeably more elbow room than its predecessor (34 mm more in the front, 25 mm more in the rear) and thus an enhanced sense of space and comfort. The driver takes to the wheel behind a 4-spoke multifunction steering wheel with twelve trapezoidal control buttons for trip computer, radio, telephone, etc. – which is also of a high saloon standard. The 7G-TRONIC PLUS automatic transmission is controlled via the DIRECT SELECT DIRECT SELECT lever as well as DIRECT SELECT shift paddles on the steering wheel. The broad instrument panel stretches out behind the steering wheel. With its clear emphasis on width, it continues the horizontal lines from the exterior design in the interior. 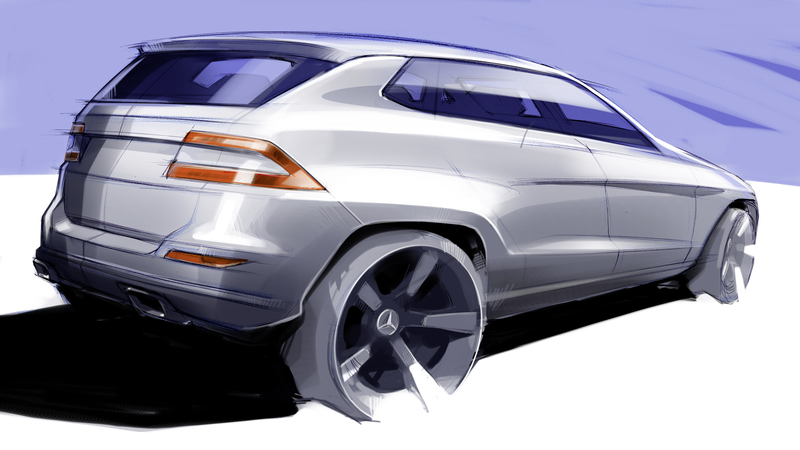 Exciting areas and powerful lines highlight the vehicle's sporty aspirations. An eye-catching feature of the instrument panel is a large decorative trim element that is then continued along the doors in a very harmonious wrap-around effect. These generously proportioned trim elements, in a three-dimensional design, are available in four high-quality wood finishes, or in aluminium. The interior of the new Mercedes-Benz M-Class can thus be appointed to reflect either exclusive refinement or sporty sophistication, according to the customer's taste. The door openers and seat adjustment switches have been inset with precision craftsmanship into the side trim elements. The door centre panels feature distinctive decorative stitching, with a separate, exclusive look for the Sports package. The state-of-the-art instrument cluster with its two clear and extremely legible round dials and a large, 11.4 cm monochrome display between them, impresses with the high quality of its design. Dominating the centre of the instrument panel in the centre of the vehicle is the large colour screen for the infotainment system. There is a choice between CD radio, CD radio with integrated navigation system or the COMAND control and display system with the latest navigation system (14.7 cm screen diagonal for the CD radios, 17.8 cm for the internet-enabled COMAND Online). 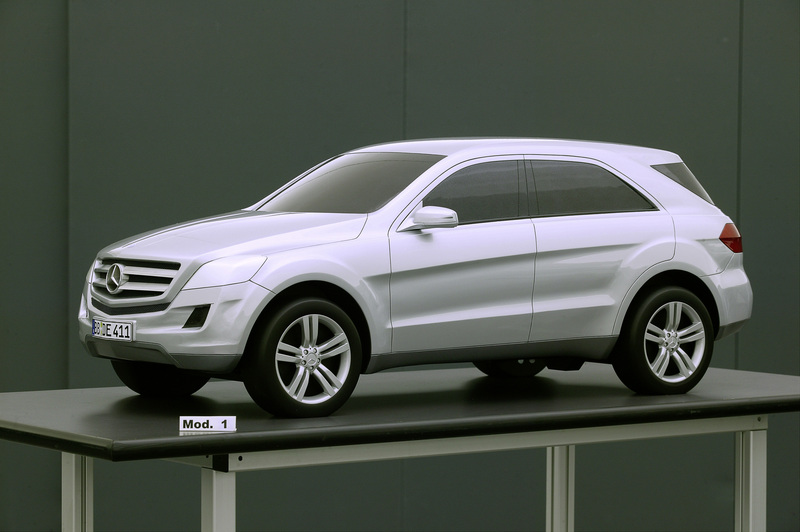 The control and display concept was developed specifically with user-friendly operation in mind. Infotainment, navigation and communication systems are intuitive and easy to operate using the metal Controller located on the centre console. Two buttons are used to switch the display on and off. 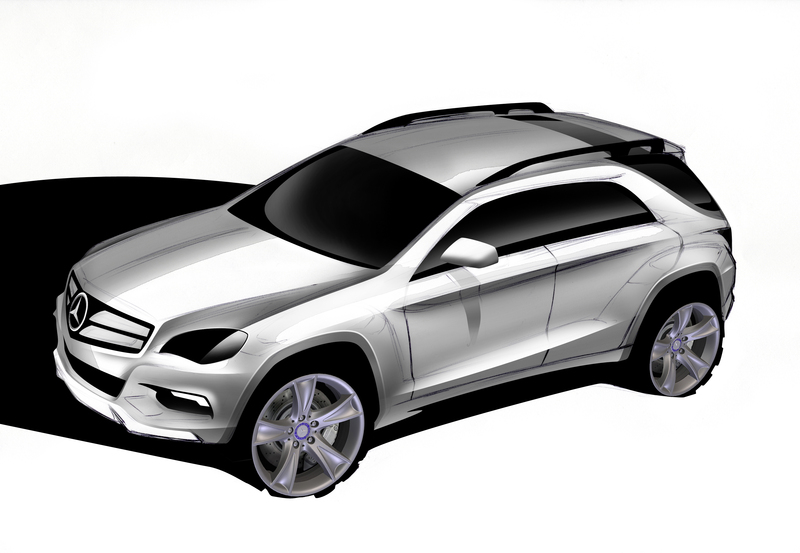 Vertical rectangular air intake vents either side of the large screen serve to emphasise the more functional aspects of the SUV. The outer air vents are the same shape but in this case horizontally positioned, thus giving an added design flair. The dashboard console and air intake vents feature edging with a quality Silver Shadow finish. The row of high-gloss silver switches in the dashboard console are characterised by their ergonomic design and discernible precision. The same applies to the air conditioning and ventilation setting, as already proven in Mercedes-Benz saloons. The centre console incorporates an integrated arm and handrest, in front of which is located the Controller and various switches, such as those for the off-road programmes and AIRMATIC air suspension. All controls feature a quality, uniform look. 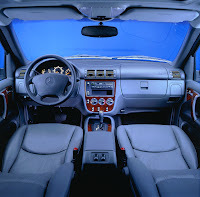 They create a harmonious effect and the lend the interior a touch of class in the many places in which they are used. 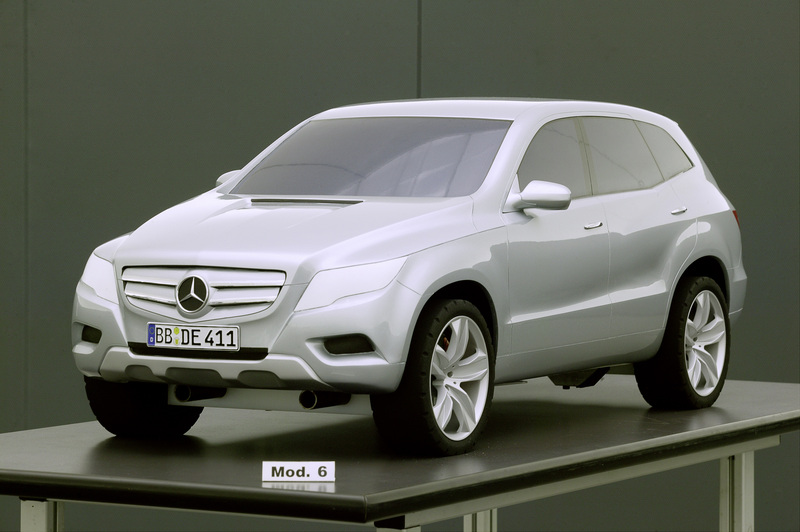 Numerous, easily accessible stowage facilities in the M-Class can accommodate bottles, mugs, keys, coins and much more. Each of the four doors can also easily accommodate a large 1-litre bottle. A light touch of the handrest in the centre console opens up a large stowage compartment which houses a 12V socket as well as easily accessible connections for mobile audio devices. To make long journeys and extensive off‑road excursions more enjoyable, the centre console also features two innovative cup holders which can keep drinks either cool or warm at temperatures of between 8°C and 55°C. The seats in the new M-Class are designed to provide a high level of comfort on long journeys as well as excellent lateral support. 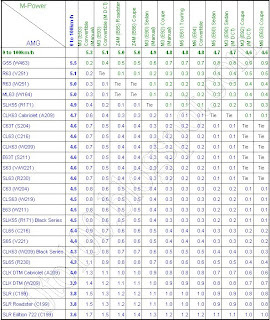 All important parameters can be electrically adjusted, including height, backrest angle, seat cushion angle and reach. Generous seat adjustment travel of more than 350 millimetres lengthways and more than 90 millimetres in height ensure that drivers of all sizes will always find the ideal seating position. 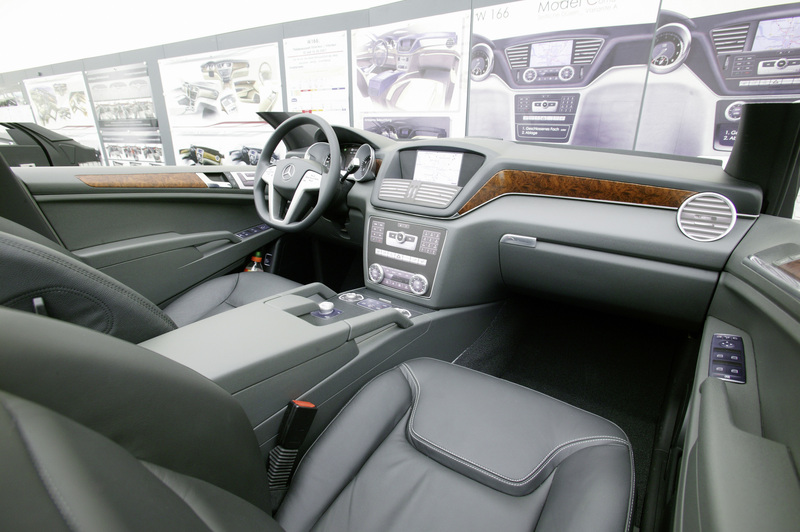 A high level of variability characterises the rear seats, which are fitted with an armrest and cup holder. The angle of their backrests can be adjusted, and they can be also folded in the ratio 1/3:2/3, thus creating a through-loading feature for long objects, such as skis, without having to sacrifice all of the rear seat positions. Folding both backrests as well as the seat cushions forward creates a level load compartment with a capacity of 2010 litres up to the roof liner. 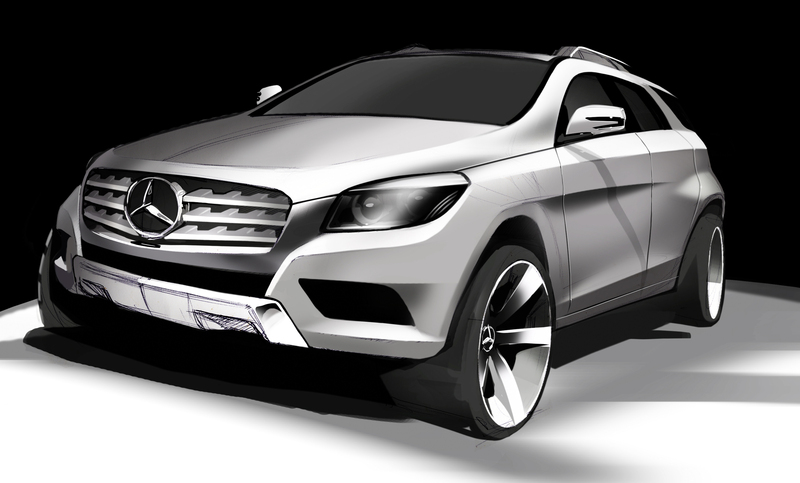 Exclusively available for the new M-Class are three seat and two sports seat variants in six different colour combinations. The sports seats reserved for the Sports package feature a different stitching pattern which is also incorporated into the door centre panels. Four colours are available for the interior appointments: black, almond beige, alpaca grey and marron/tobacco brown. These can be combined with a wide range of materials: fabric/ARTICO man-made leather in black, ARTICO man-made leather and leather in six colour combinations, in conjunction with the Interior Sports package with DINAMICA microfibre and leather in black.